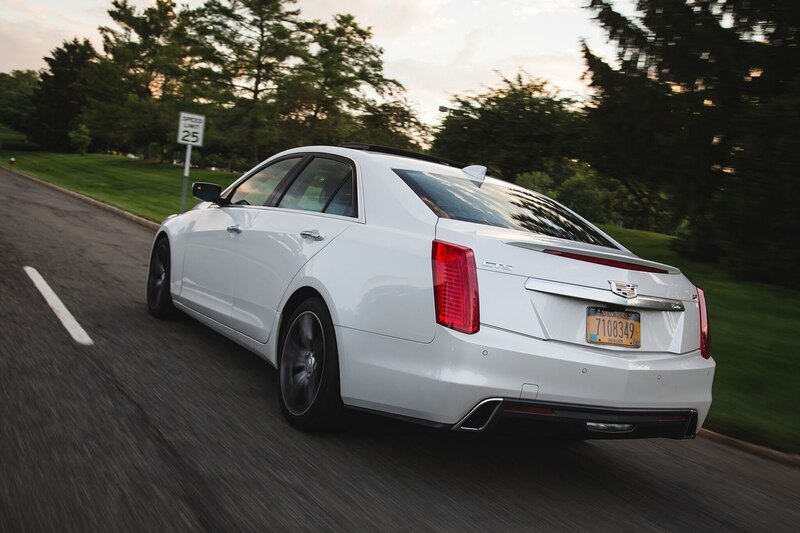 When that E60 was brand new, Cadillac was in the early years of its transformation away from being a purveyor of front-wheel-drive marshmallows, a transformation led by the CTS. 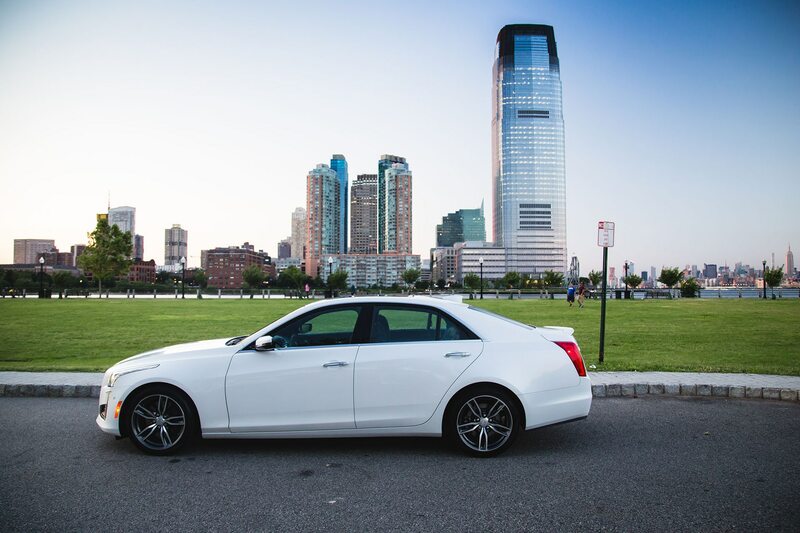 As it evolved from its first iteration 2003, the sedan matured and evolved from merely good to downright fabulous. 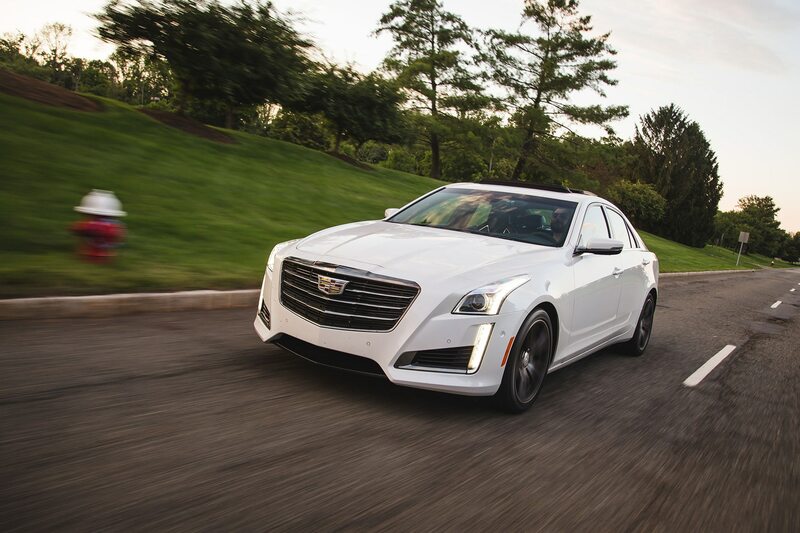 In this era of numbing electric power steering and computer controlled this-and-that, the third-generation Cadillac CTS is a refreshingly true driver’s car. 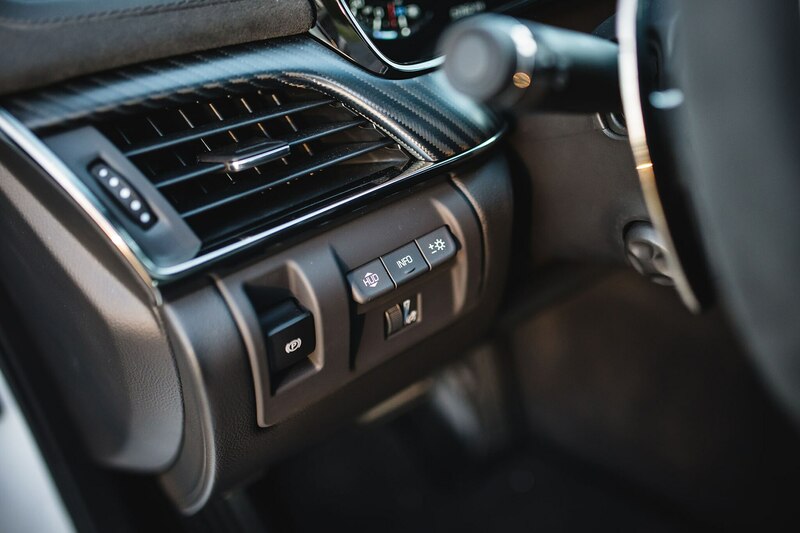 Upon first sampling in its 2014 introductory year, its balance of performance and luxury brought sensations similar to those that made me fall in love with the E60. 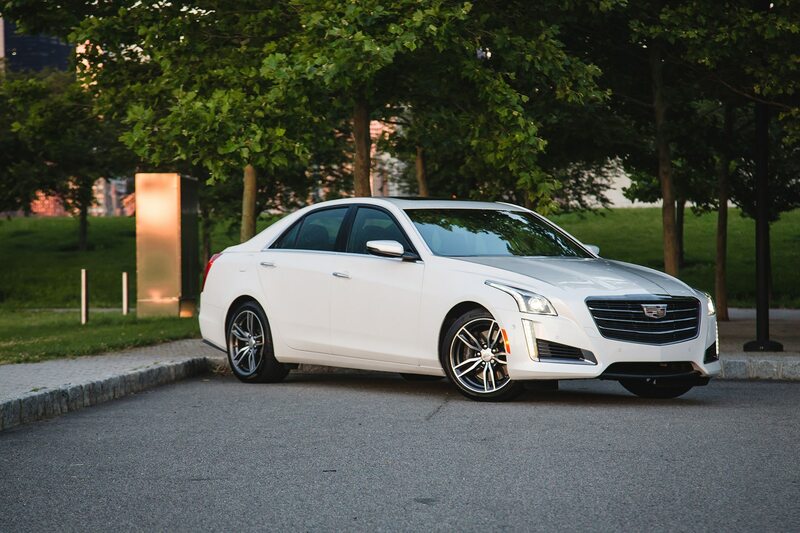 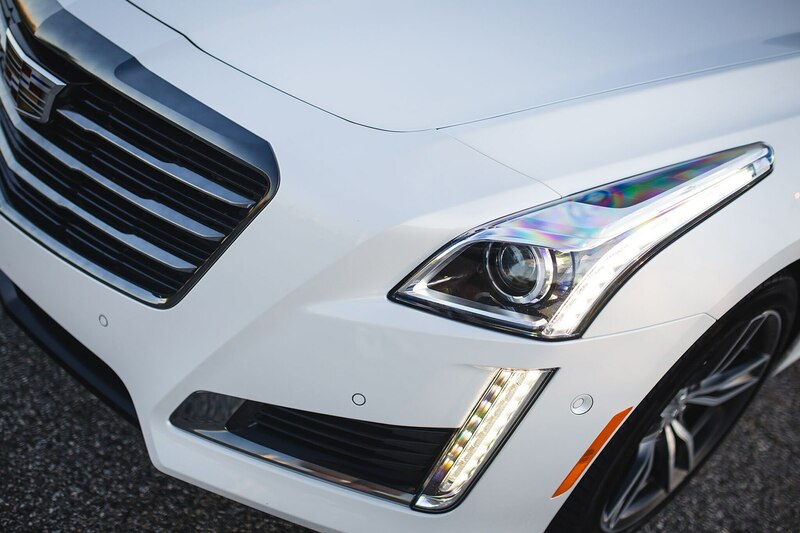 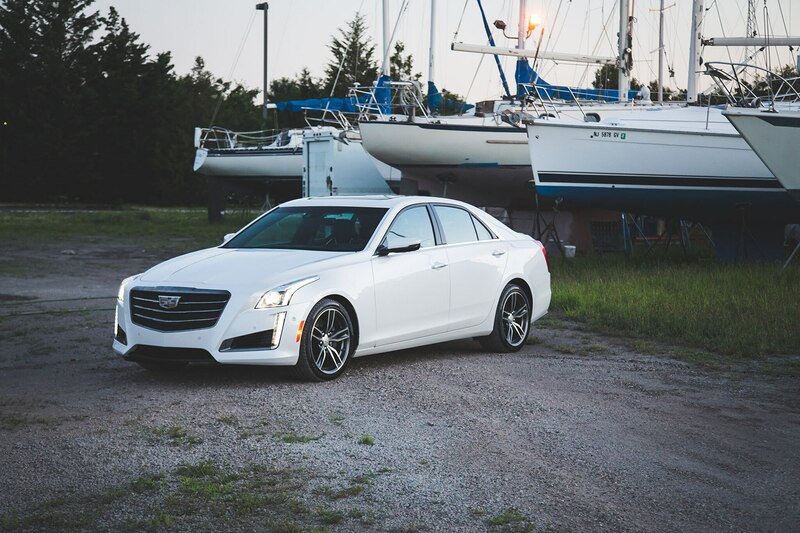 It wasn’t just me, either—the 2014 Cadillac CTS snagged an All-Stars trophy and a 2014 CTS Vsport found its way into the Four Seasons fleet. 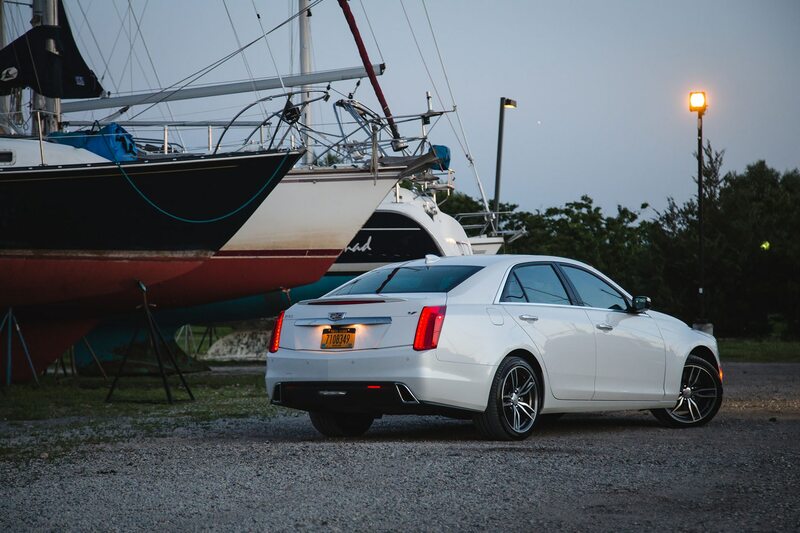 Three years later, the 2017 Cadillac CTS still wears its sheetmetal well and proudly retains its contemporary curb appeal. 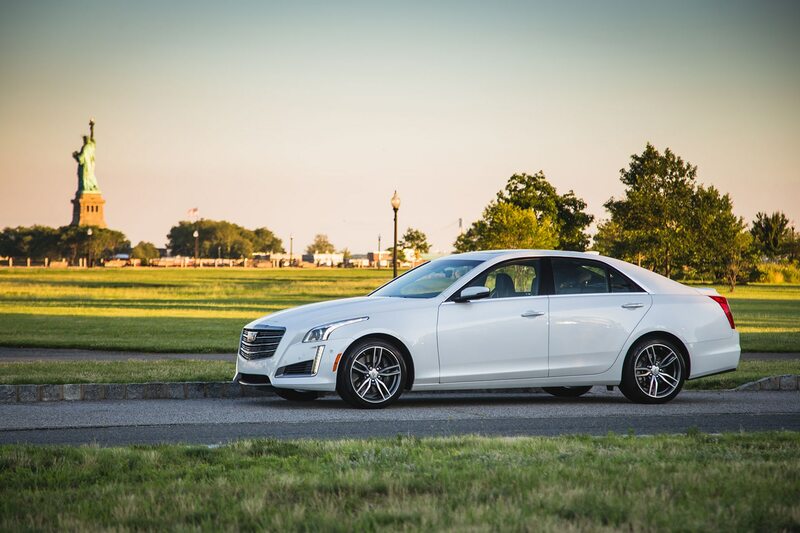 While the sedan always had a unique, angular look thanks to Cadillac’s Art & Science design direction, the current version boasts a toned-down version with less gaudiness, cleaner panels, and fewer bulky lines for a skinnier and slicker profile. 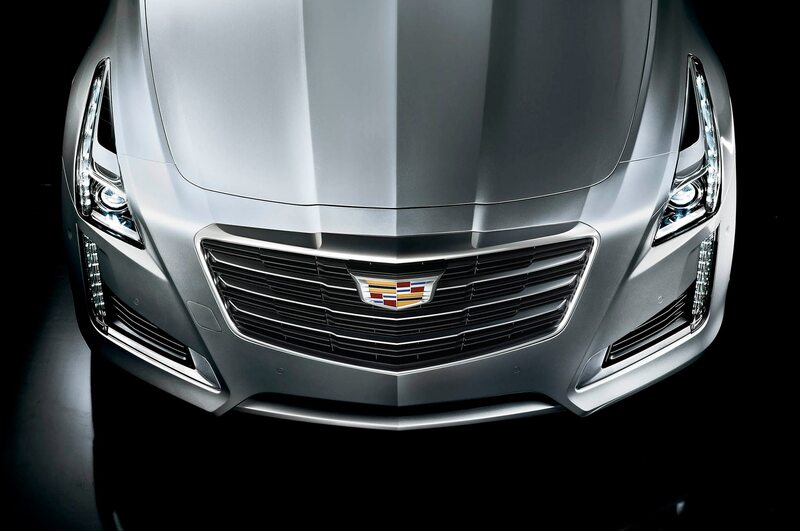 Some decried it as more mundane than previous models, but I call it elegant and understated class. 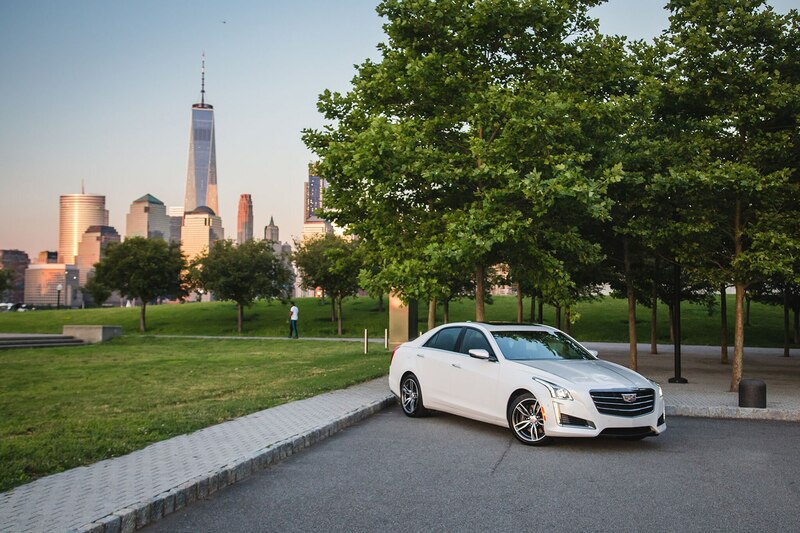 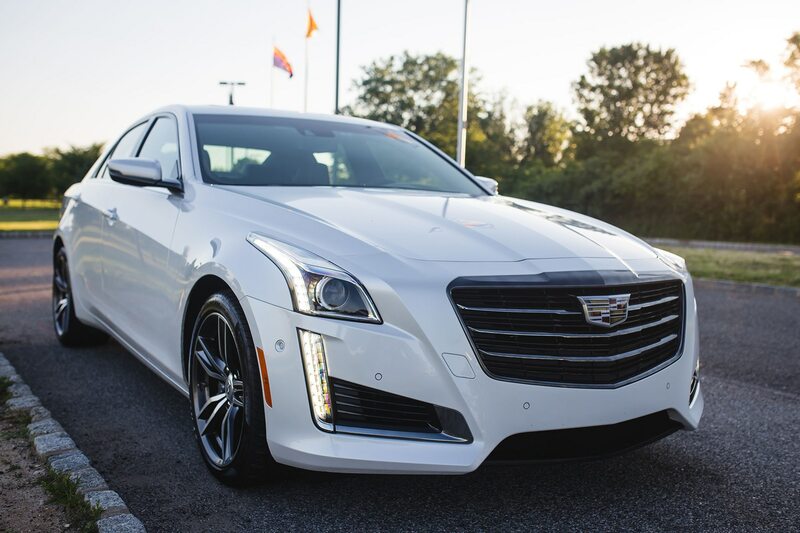 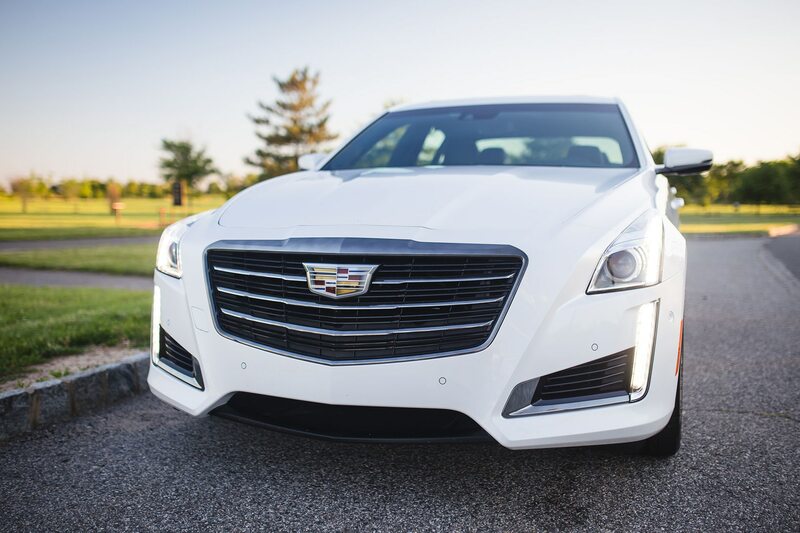 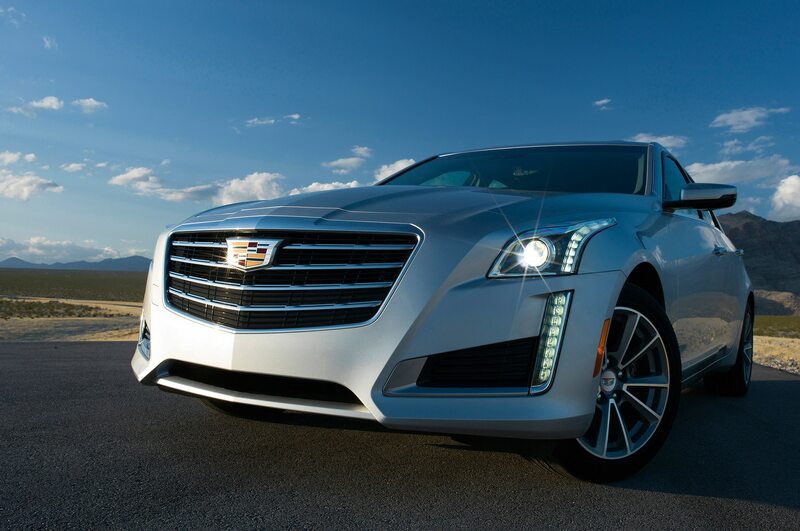 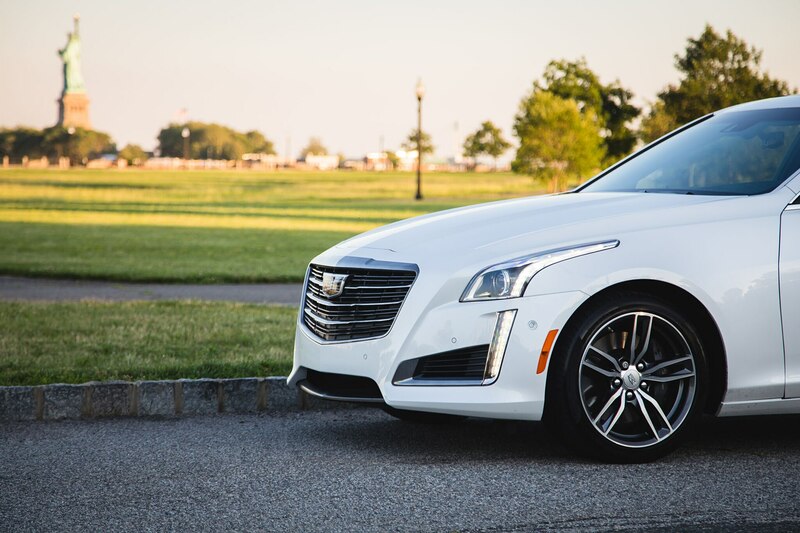 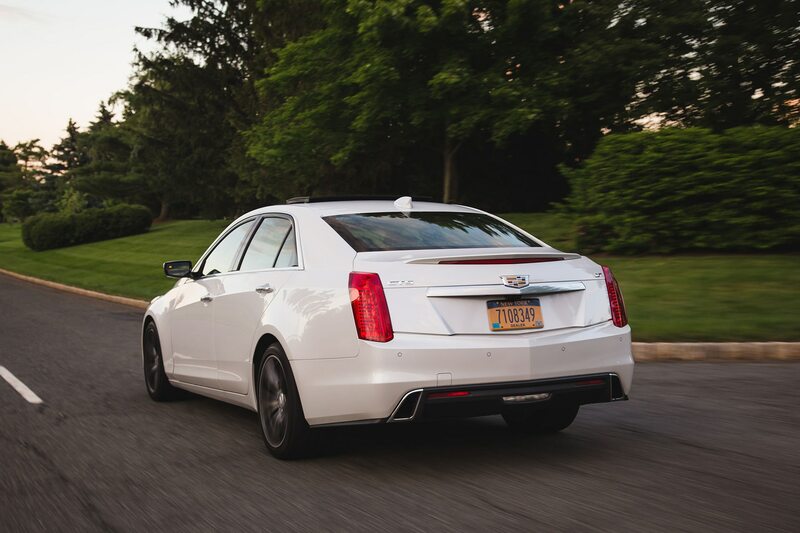 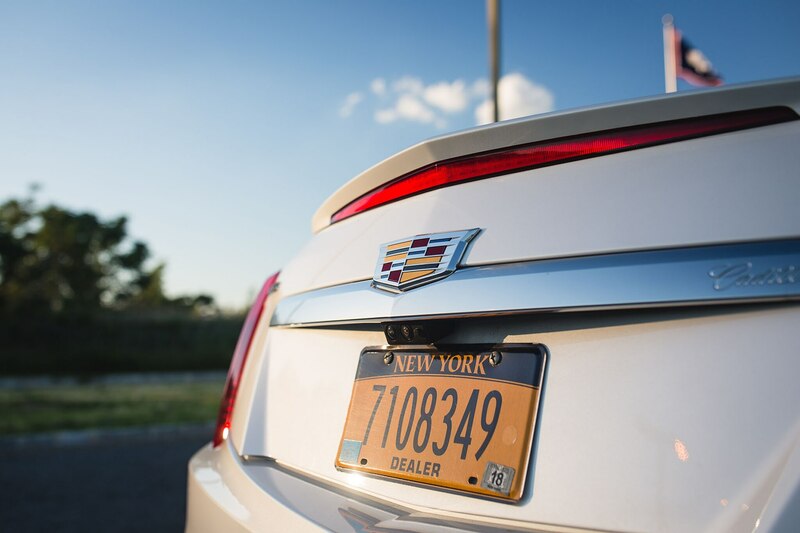 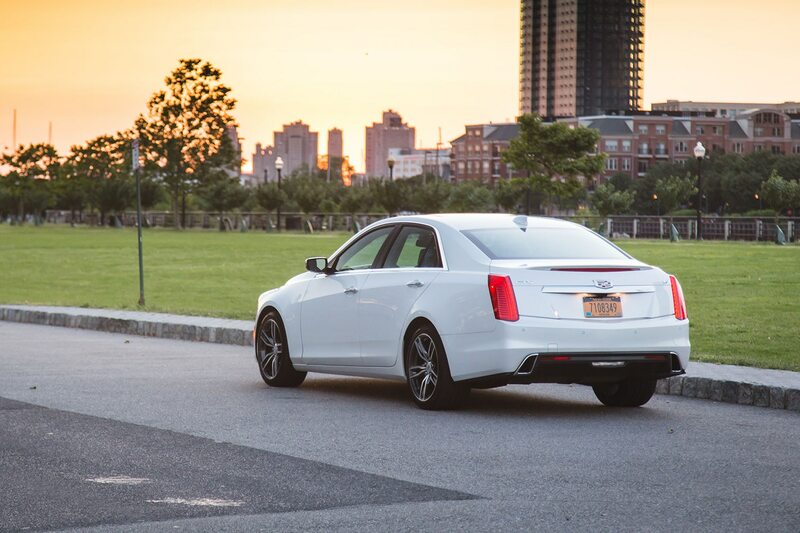 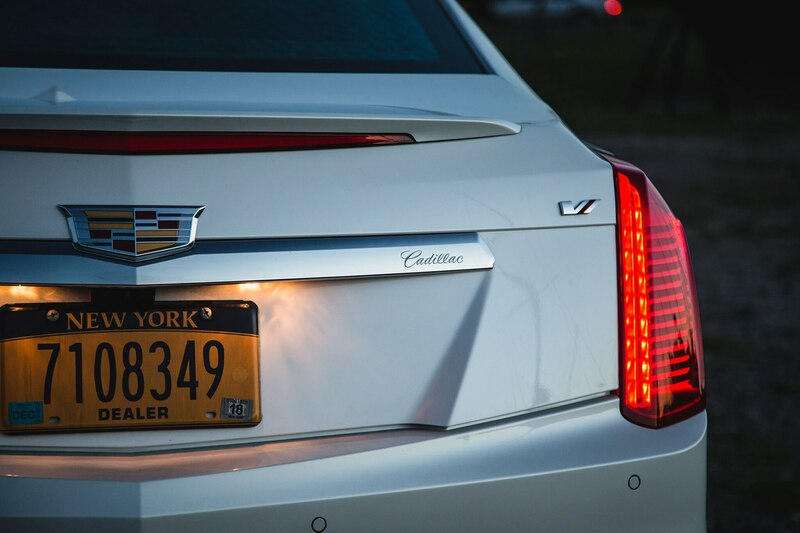 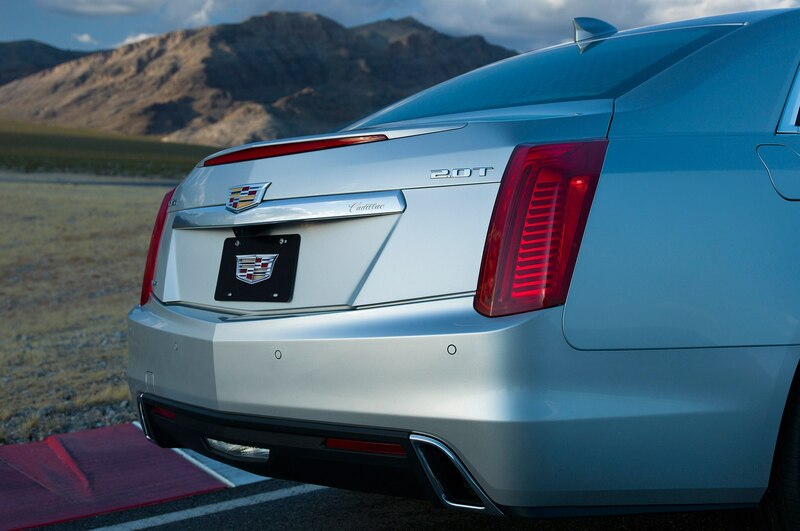 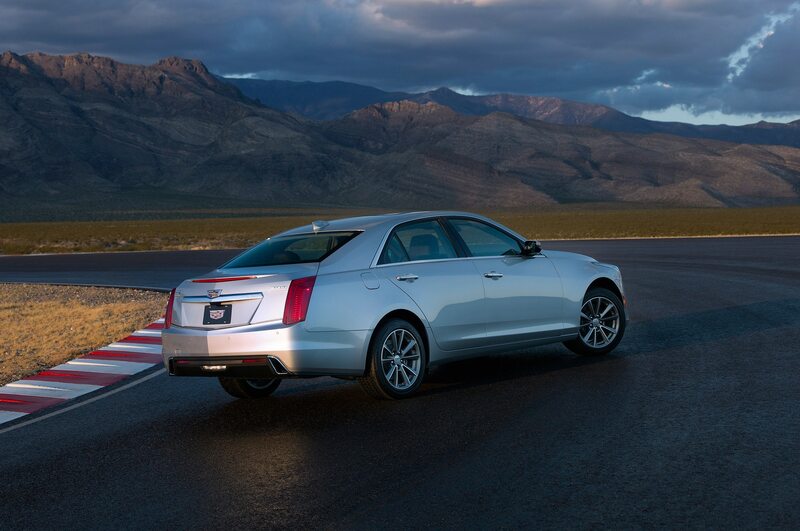 It’s easily the best-looking CTS yet, especially adorned with the updated, crestless shield emblem. 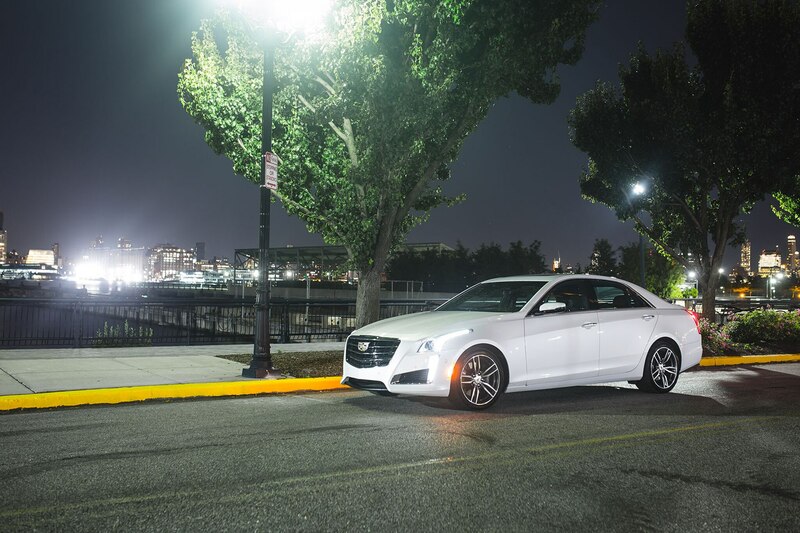 At the first crank of the thin-rimmed suede wrapped Vsport steering wheel, the CTS responds with point-and-shoot quickness and willingly, reminding me of that E60 M Sport. 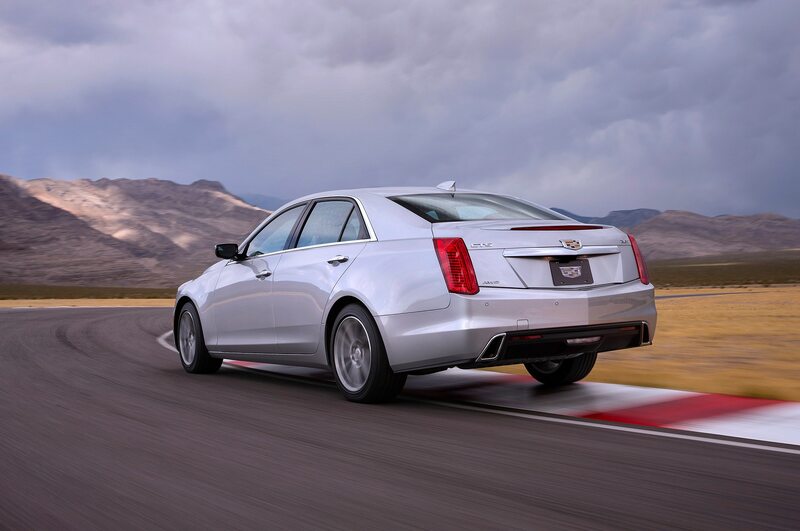 Along with its direct response, the steering offers perfect progression and good weighting. 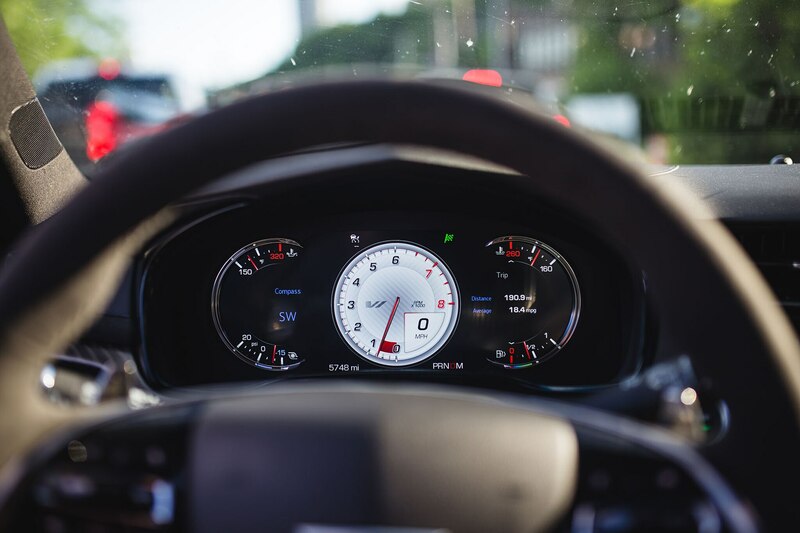 And believe it or not, there’s just enough road feel to tell you the most important information. 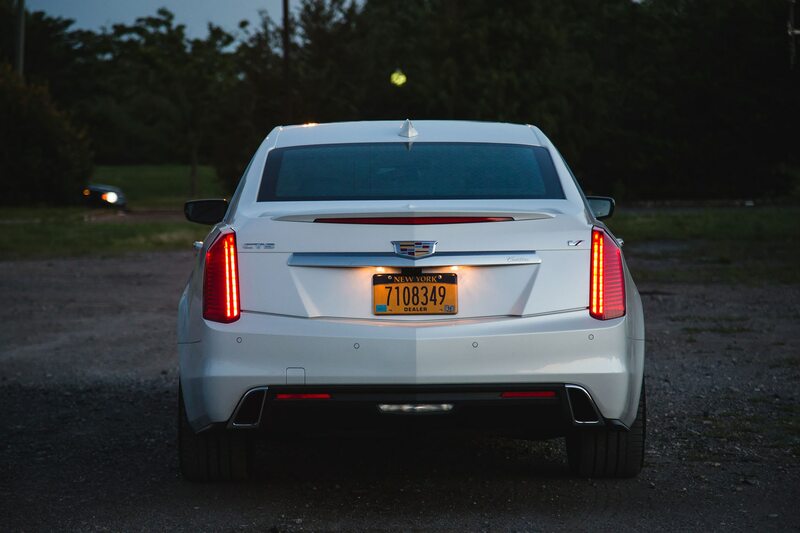 In a Cadillac. 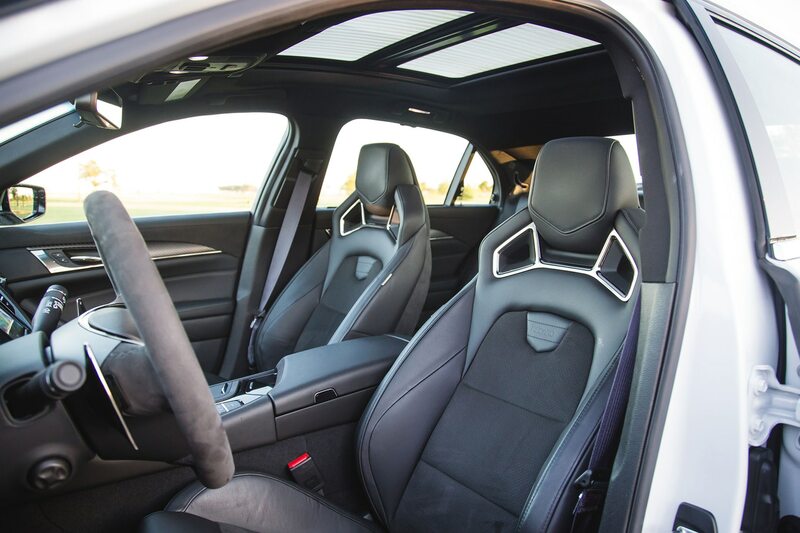 Couple that with the fact that the 3,992-pound Vsport (barely) evades cresting over the two-ton mark, making it one of the lightest in its class, and it continues delivering as promised. 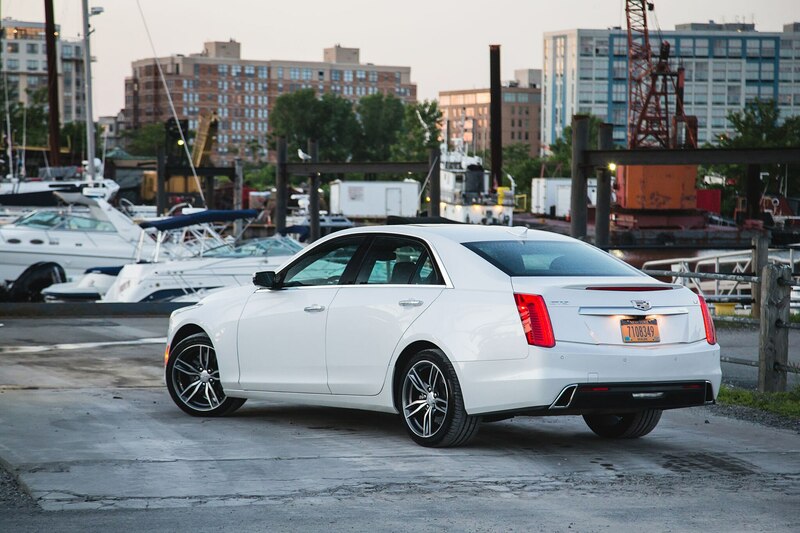 Powering the 2017 CTS VSport is the same 3.6L LF3 twin-turbocharged V-6 found in previous years, its output unchanged at an SAE-certified 420 horsepower and 430 pound-feet of torque. 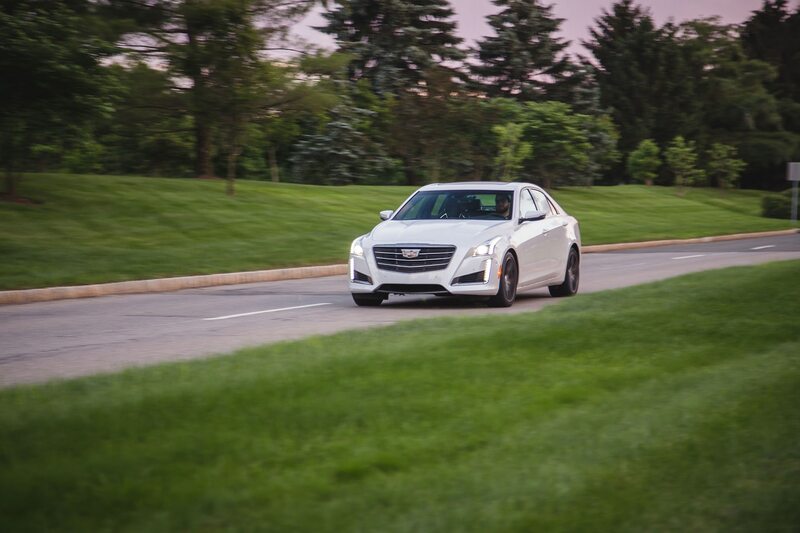 It’s not as brutal as the full-fledged CTS-V, but the Vsport will happily slingshot you into the horizon, snapping you deep into the Recaros like a proper luxury performance sedan should. 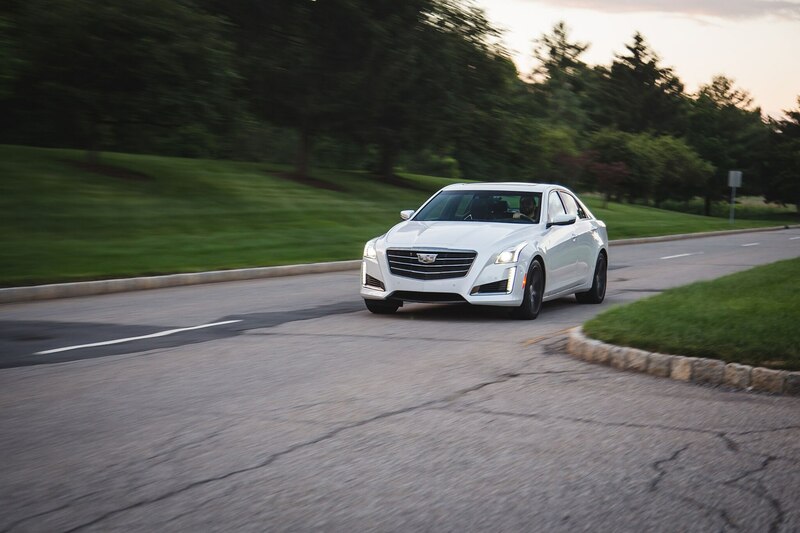 Also unchanged is the smooth and quick shifting GM 8L45 eight-speed automatic that’s also found in the CT6 and Chevrolet Camaro. 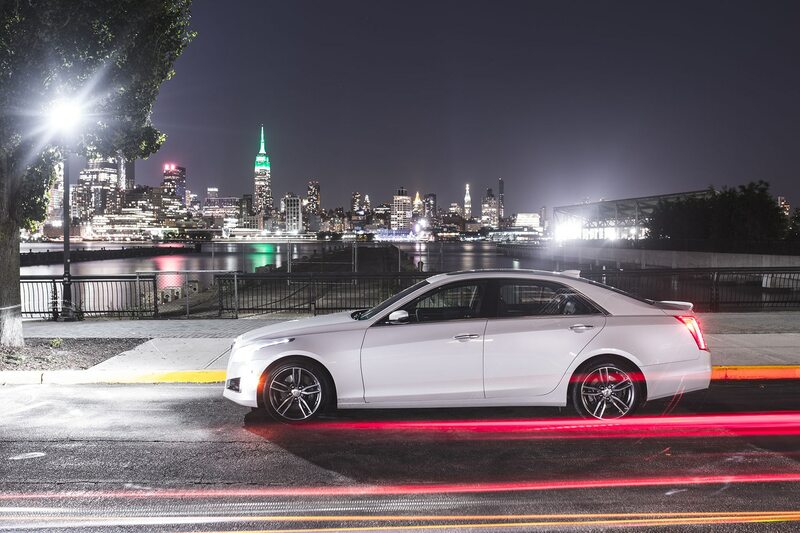 That means 0-60 still shows up in just 4.5 seconds—the same time as take that E60 550i M Sport. 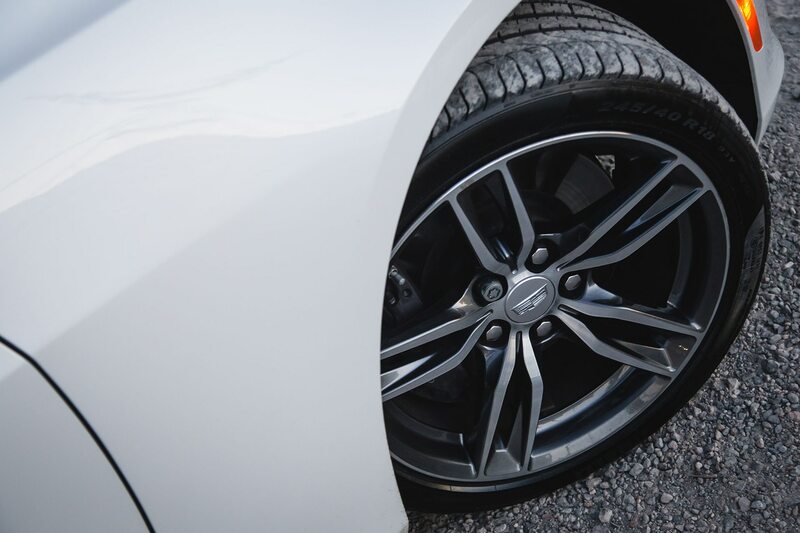 Shaving off those miles per hour are grippy Brembo clamps, which are responsive in fast driving but smooth enough for daily duties. 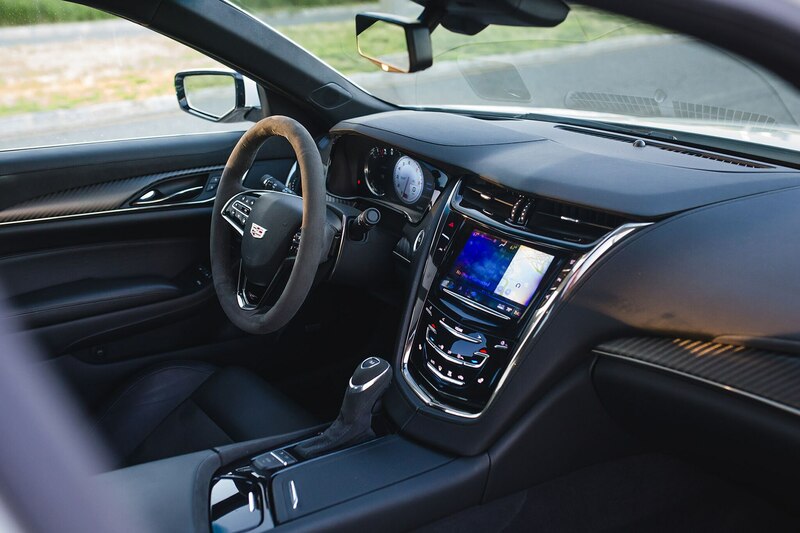 In addition to the revised-for-2017 front end and streamlined trim and packaging options, the Cadillac CUE infotainment system gets the update it sorely needed. 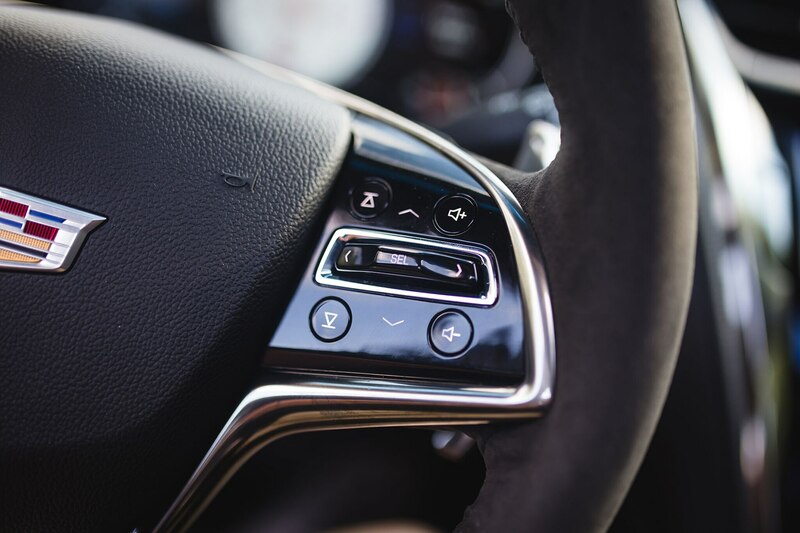 The general interface design remains, with haptic feedback and touch-sensitive controls staying in place of tactile buttons, and while it still takes some getting used to, the menu arrangement in the user interface is far more refined than previous iterations. 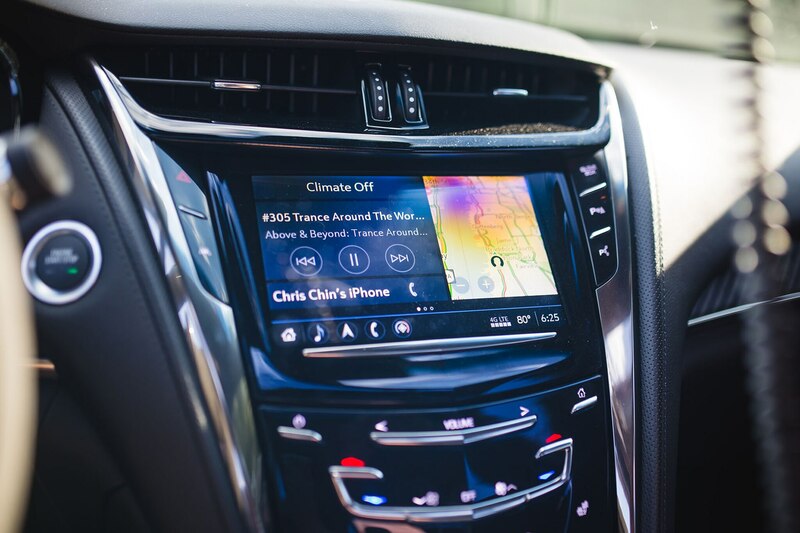 There’s more rhyme and reason to the hierarchy, which mimics that of a smartphone OS’s main menu. 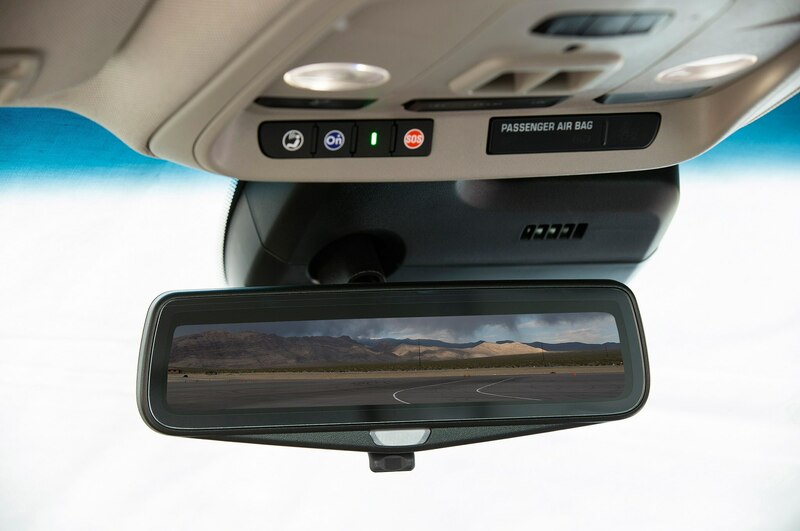 There are also dual-view options. 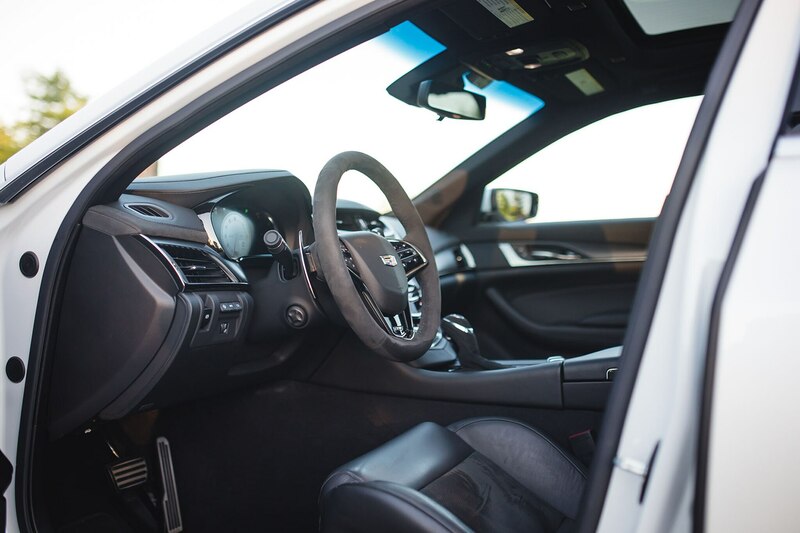 Overall, the layout is legible and not too fussy. 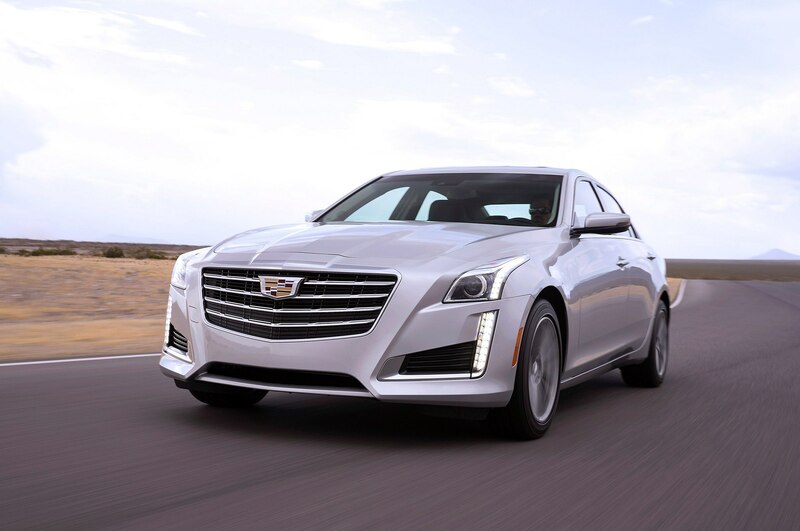 Most improved, however, are its processing speed and response times, which are no longer issues. 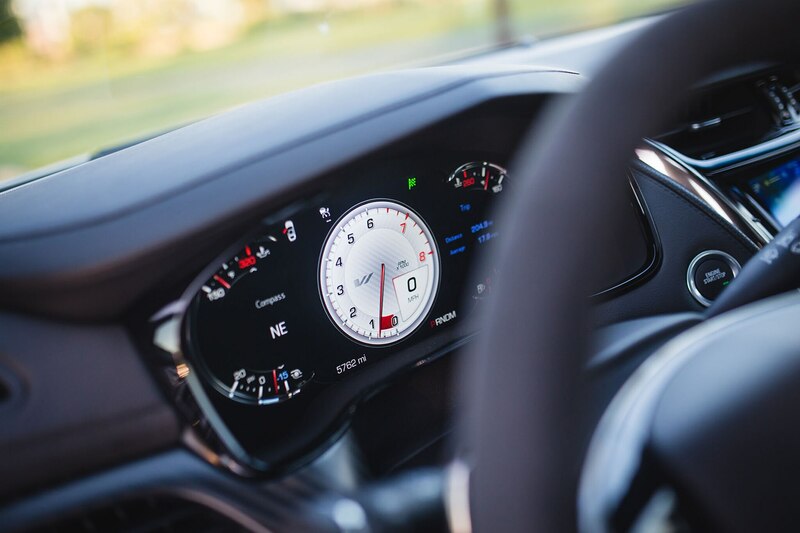 A completely LCD-digitized gauge cluster also replaces the old analog gauge arrangement, elevating the CTS Vsport’s premium feel. 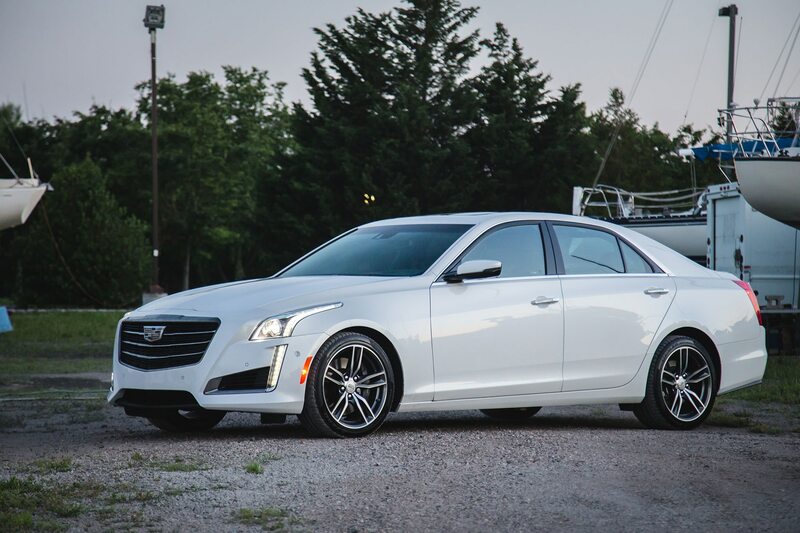 The only criticisms that remain from previous editors’ comments on the CTS Vsport are its aggressive throttle tip-in and lackluster interior. 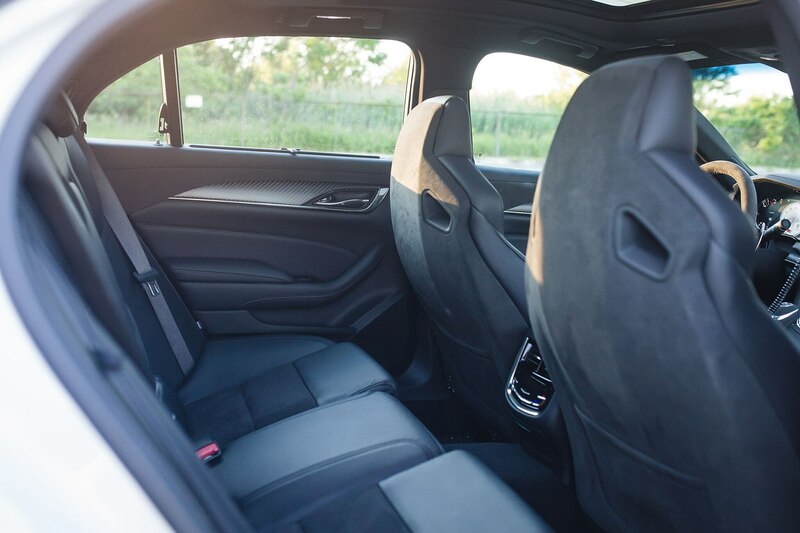 While the throttle can easily be managed your right foot, the cabin still finds a way to prove that American automakers still don’t have interiors down as well as the foreign competition. 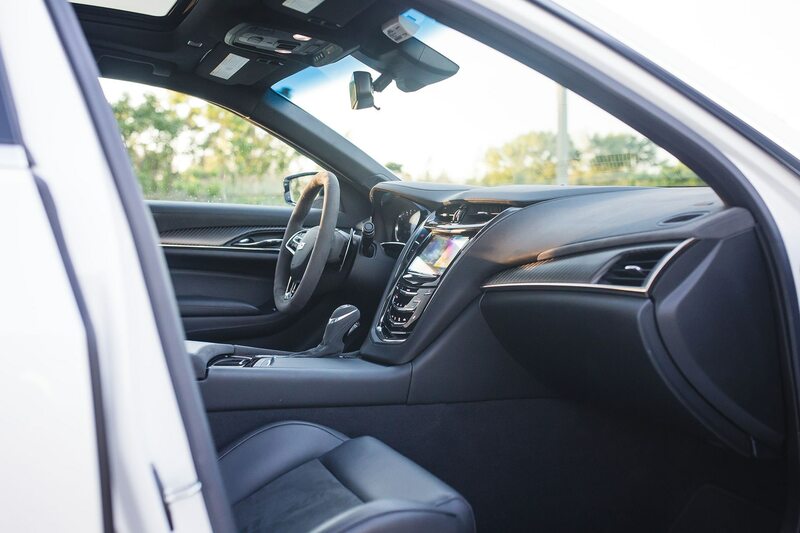 The CTS Vsport is plenty nice inside and the Recaros are just as comfortable as they are supportive, but the choice of materials and some of the fit and finish leave something to be desired. 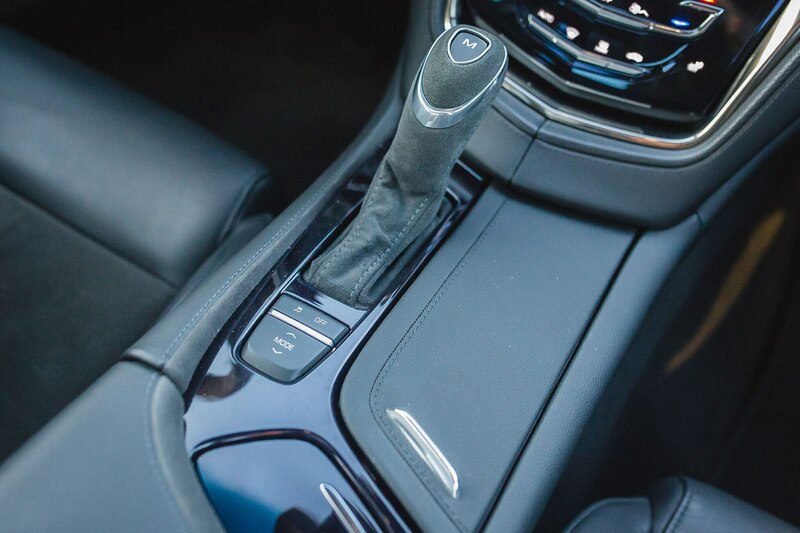 For instance, some of the switch and toggle gear is the same as found on a sub-$20k Chevy Cruze. 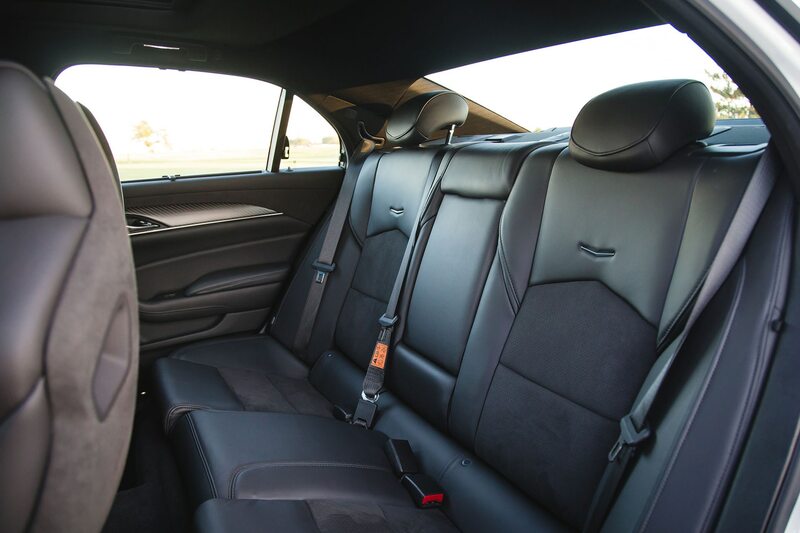 And there isn’t much of a backseat for adults even with my average-sized 5’11 figure arranging the driver’s seat, despite the CTS’s sizably long dimensions. 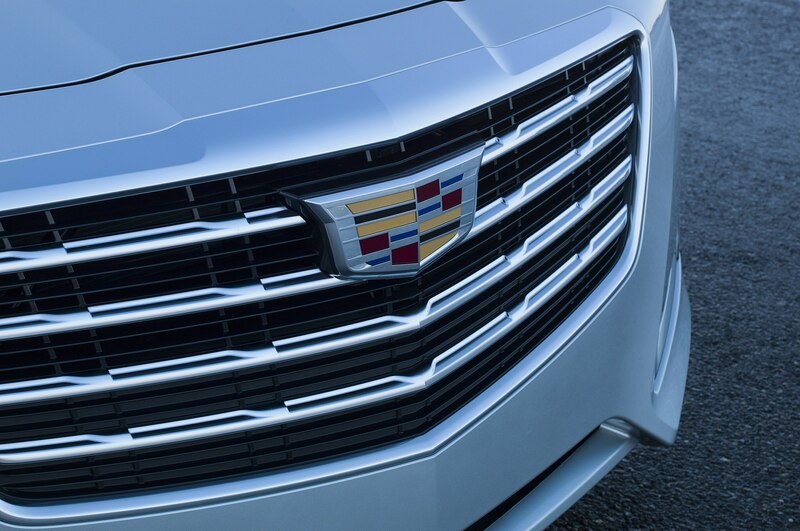 However, these minor criticisms are exactly that—minor. 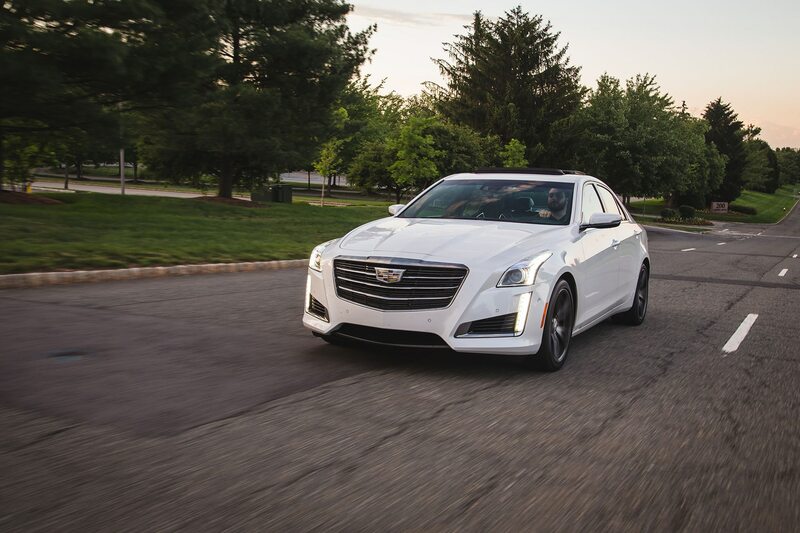 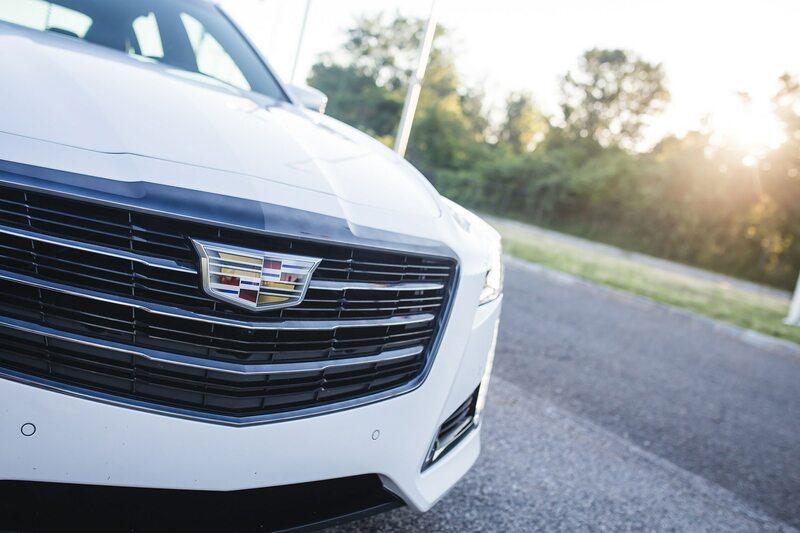 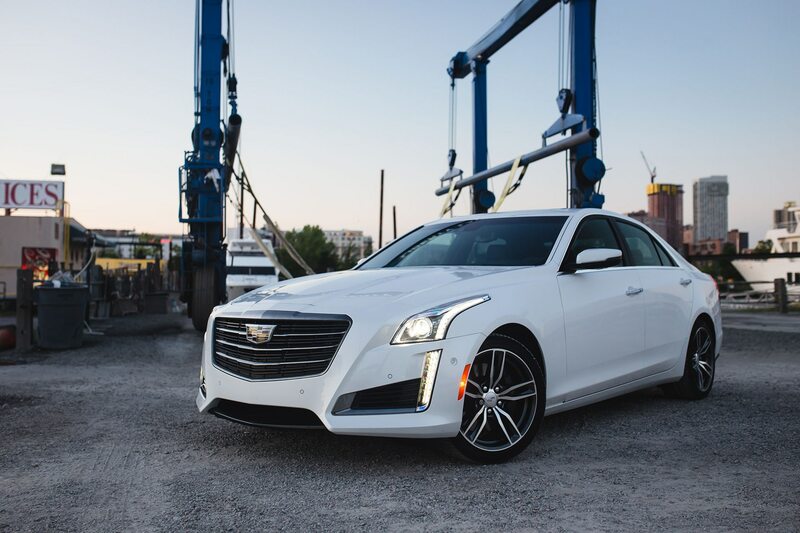 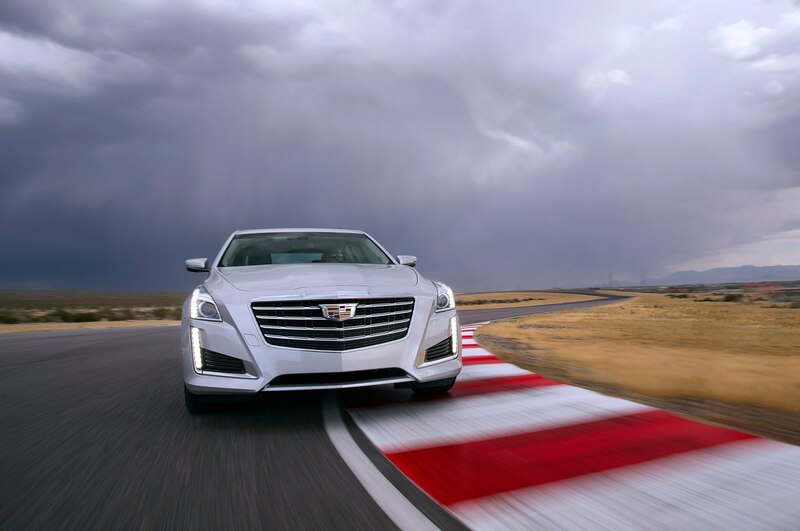 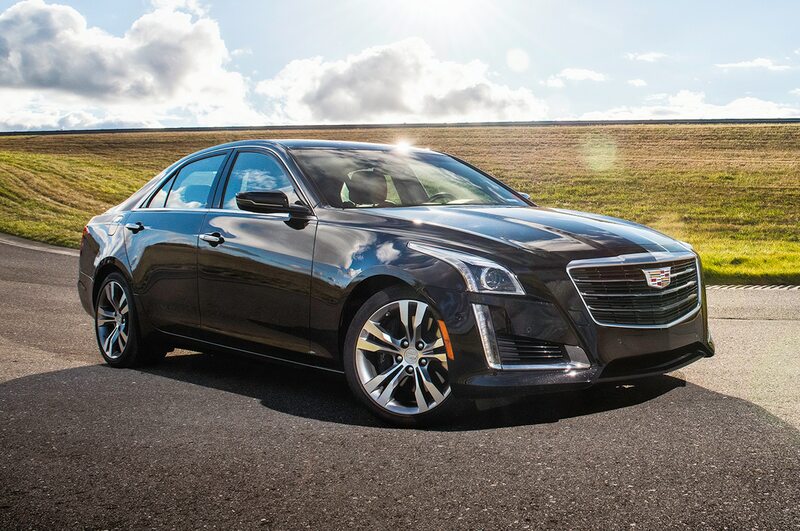 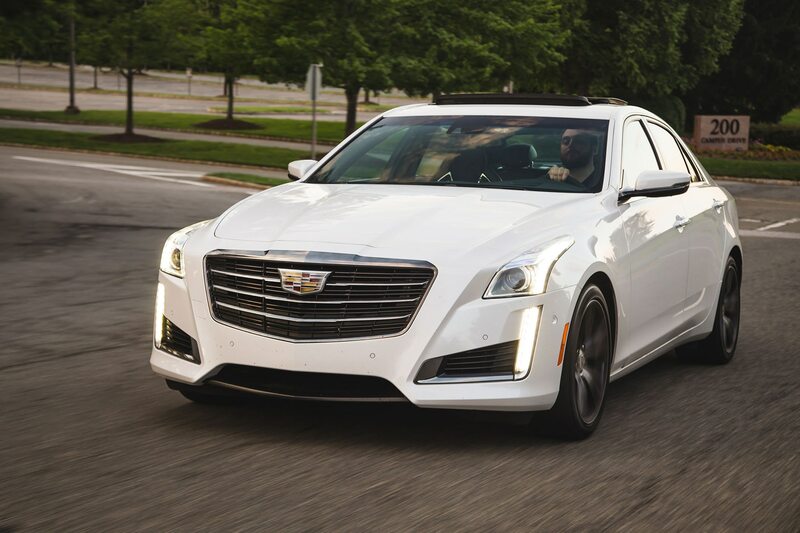 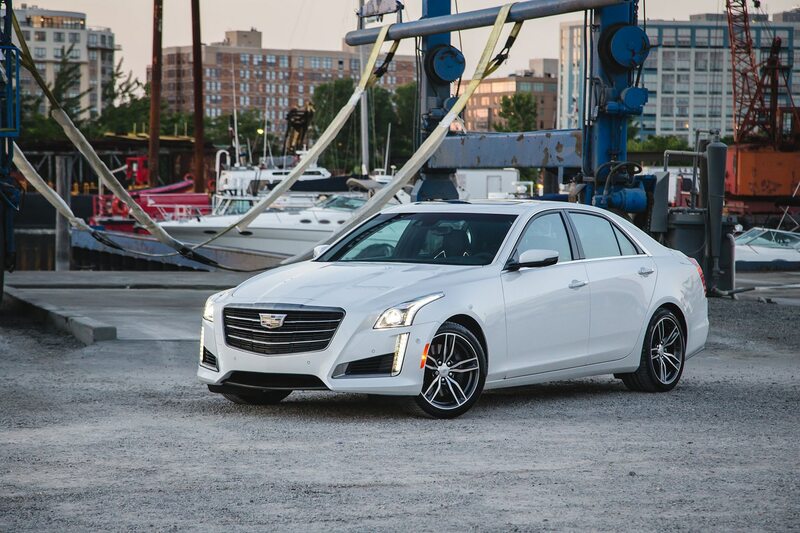 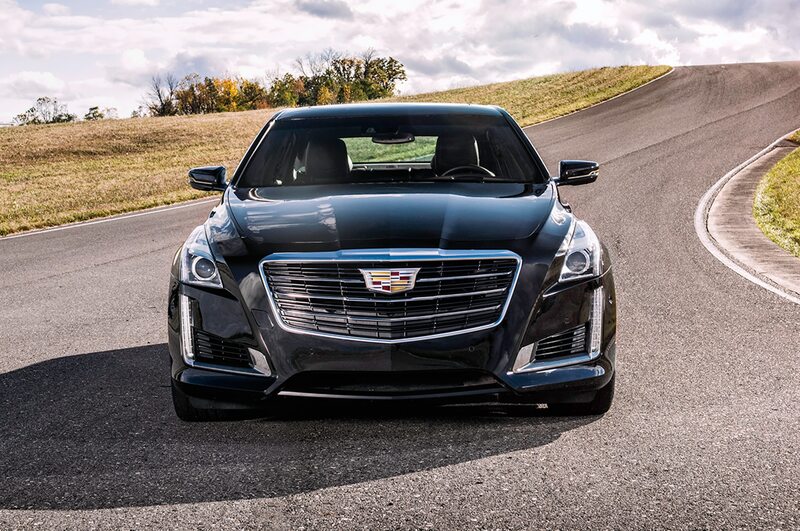 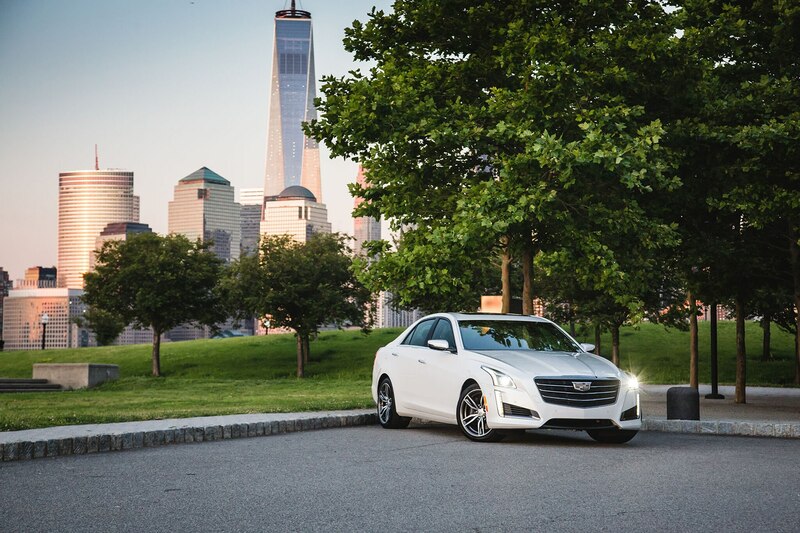 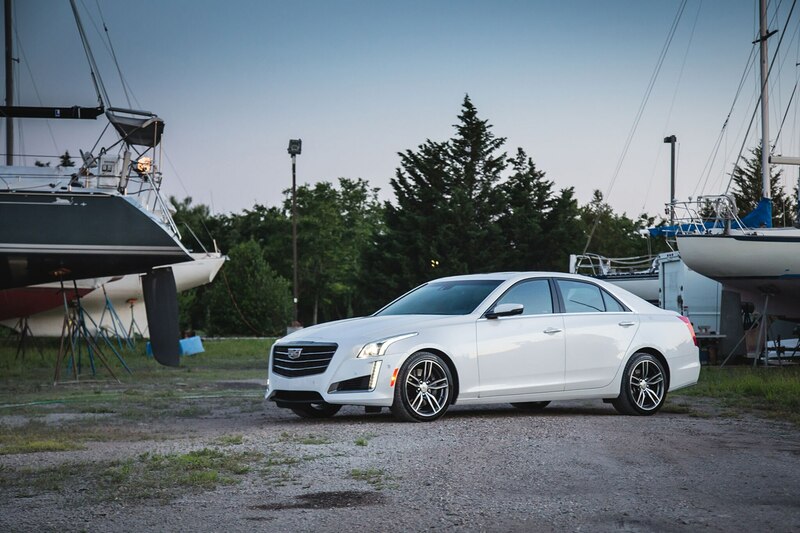 They’re completely overshadowed by the CTS Vsport’s performance and handling prowess to make it one of the best, if not the best luxury performance sports sedan that money can buy, short of the full-fledged performance versions. 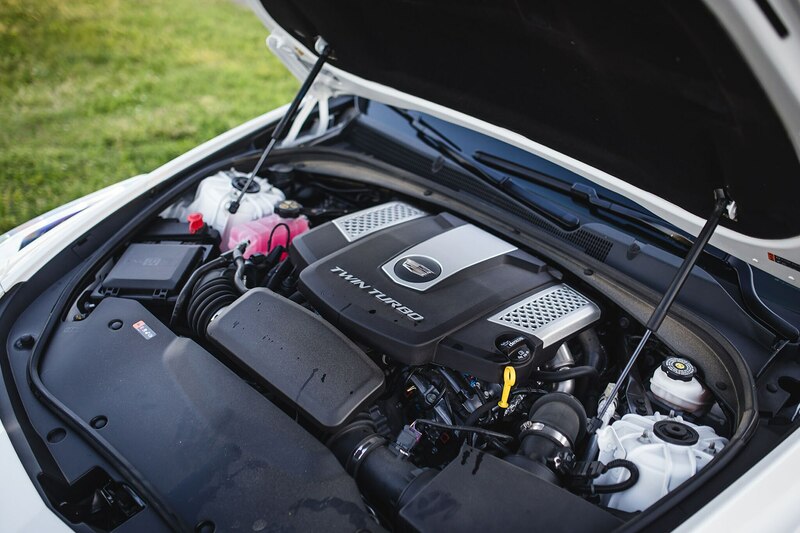 As that saying goes, the more things change, the more things stay the same. 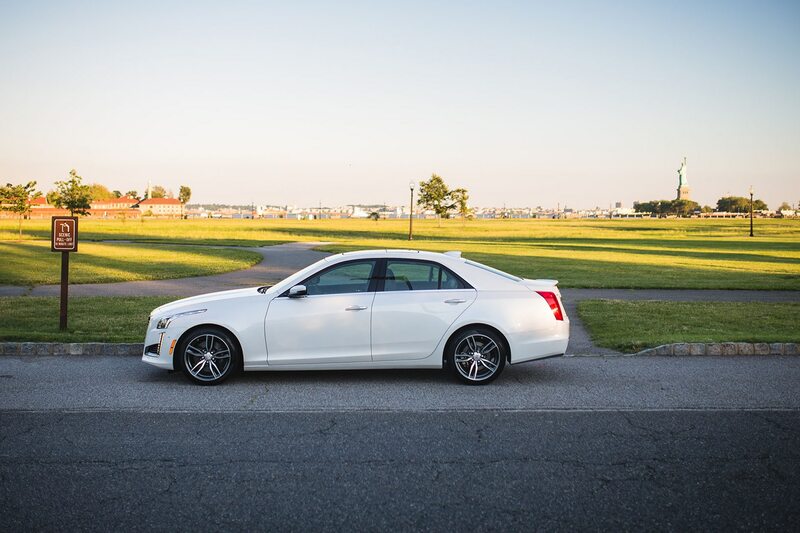 And we’re hugely happy the 2017 Cadillac CTS Vsport remains the same, as good as we all first remembered.